-Leptospirosis is a potentially serious disease caused by the bacterium Leptospira interrogans. It affects dogs but can also infect a wide variety of domestic and wild animals. -This potentially fatal bacterial disease can in fact be transmitted to humans. -Typically Leptospirosis attacks the kidneys and liver of infected dogs. -It is transmitted to dogs through contact with contaminated water, soil, or surfaces. -Localized outbreaks may occur in areas that have recently experienced flooding. -Infected dogs require treatment with antibiotics and fluid therapy. -The risk of infection can be reduced by attempting to avoid high-risk environments, and vaccination. Heartworms can cause a variety of medical problems affecting the lungs, heart, liver, and kidneys. Any of these problems, alone or in combination, can lead to death. Fleas not only make pets and people miserable, but can cause serious health problems as well. Fleas are widespread, blood-drinking parasites that can transmit tapeworms and cause flea allergy dermatitis. Luckily fleas and heartworms can be easily prevented by using safe, effective, and easy-to-administer monthly medications. Some of these products are given orally, whereas others are applied topically to the pets skin. 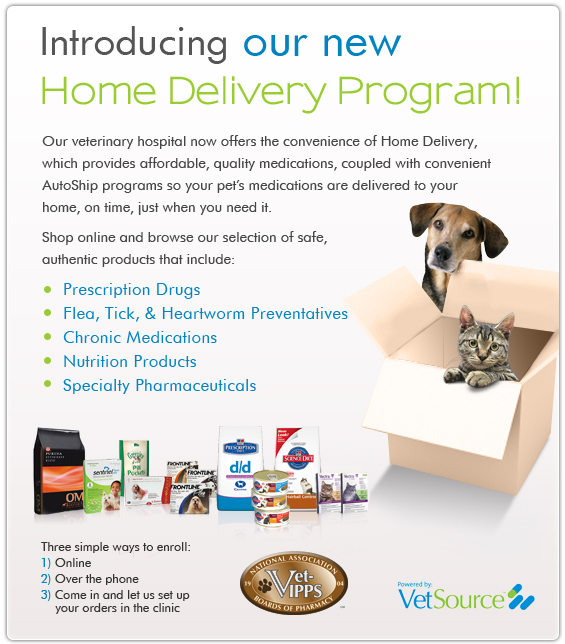 We now offer the 3 month oral flea and tick preventative. Call us at 810-229-5300 and we can answer any questions you have. If your pet is frequently outdoors, near ponds, lakes, rivers, or heavily wooded areas- Call today, and ask about getting your dog vaccinated!